Team | Levitan & Associates, Inc.
Richard leads the firm’s advisory services in the areas of power plant valuation, contract restructuring, wholesale power procurement, and gas transportation management. He advises regulatory commissions on diverse matters pertaining to resource planning and procurement. 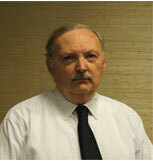 Mr. Levitan has 34 years of industry experience in finance, regulation, and wholesale market analysis. He has managed gas pipeline adequacy and storage deliverability studies for PJM, NYISO, ISO-NE, the ISO of Ontario and NERC, as well as for utilities, pipelines, and storage companies. Mr. Levitan has testified many times at FERC and before state and provincial regulatory commissions. 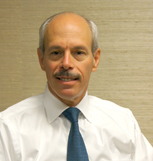 Prior to establishing Levitan & Associates in 1989, Mr. Levitan was a consultant at Stone & Webster Management Consultants, Inc. In the 1970s he was an Economist at Pacific Gas & Electric Co. He received his B.A. from Cornell University and his Masters degree from Harvard University where he specialized in Energy Economics. He also attended Stanford University’s Post-graduate Industrial Organization Management Program. John has close to 40 years of experience in the energy industry encompassing a wide range of fuel, power, and emissions control issues. Mr. Bitler advises utilities, power generators, state regulatory agencies, and end-users regarding fuel market trends, procurement administration, gas supply and infrastructure developments, and emission control costs. He is responsible for LAI’s fuel market analysis and forecasting activities. Mr. Bitler has directed wholesale power solicitations and auctions on behalf of utilities and state agencies with responsibilities for procuring energy, capacity, and renewable energy credits. 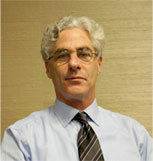 He has been responsible for administering the procurement process, market analysis. He has managed gas pipeline adequacy and storage deliverability studies for PJM, NYISO, ISO-NE, the ISO of Ontario and NERC, as well as for utilities, pipelines, and storage companies. Mr. Levitan has testified many times at FERC and before state and provincial regulatory commissions. Prior to joining LAI in 1999, Dr. 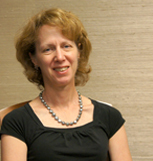 Cool was a Principal with Harding Lawson Associates, Inc. (formerly ABB Environmental Services, Inc.), where she managed the New Englandregion for the engineering and environmental consulting firm. She previously was a project manager at TRC Corporation and Woodward Clyde Consultants, and also worked in mining and minerals exploration. Dr. Cool received an A.B. in Geological Sciences from Harvard University, and an M.S. and Ph.D. in Geological Sciences from the University of Washington.